Thank you to the Legal History Bloggers for the invitation to share some of my thoughts this month. 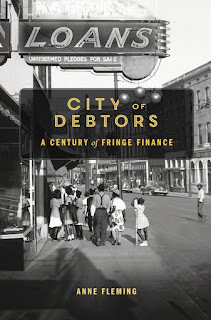 In this post, I’ll briefly describe my recently published book, City of Debtors: A Century of Fringe Finance (Harvard, 2018) as well as the challenges of writing for two academic audiences: historians and commercial law scholars. 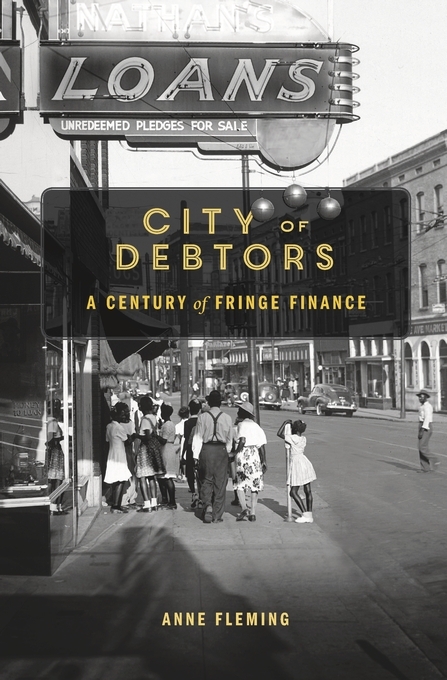 The book presents the first legal history of the small-dollar lending industry and its regulation in the United States, from the 1890s through the early twenty-first century. From this vantage point, it reconsiders our understanding of the history of business-state relations and the role of the state in the marketplace over time. It also offers some lessons for policymakers, lawyers, and scholars interested in present-day policy questions and regulatory reform. I’ll start with the challenge of two audiences. The book’s topic alone presents an immediate barrier to entry for many historians. (“What do you mean by small-dollar lending?” is a common question. I explain that these lenders offered working-class households small loans of a few hundred dollars in cash or credit to purchase households goods, much like modern payday lenders and rent-to-own stores.) If you tell an historian that you work on the civil rights movement or the history of constitutional law, there is an immediate spark of recognition because these topics have attracted significant public and scholarly interest over the past few decades. Small-dollar lending? Not so much. To reach historians as well as readers outside the legal academy, I knew that the book would need to provide succinct explanations of the field’s legal jargon, such as “wage assignments,” and “chattel mortgage.” (To this end, I found it especially helpful for readers without any background in the field to review the manuscript, flagging terms in need of definition.) The book would also need to connect the story of one industry and its regulation to broader questions in the fields of legal and business history. For the audience of consumer finance and commercial law scholars, the problem is reversed. These readers understand the jargon and the business of small-dollar lending, but history may be a harder sell. They might rightly ask: Why should those tackling current regulatory problems care about what happened over a century ago? I understood that to draw in these readers, the book would need to provide an answer to this question, preferably at the outset. To meet these challenges, the book offers two sets of arguments: one directed primarily to historians and the other to commercial law scholars and practitioners. I’ll discuss those arguments in more detail in my next post.